You can also help by donating. Every $1 donated provides 5 meals for hungry people. Updates: Make changes to your user account and group affiliation at the top of the page. Questions: If you have event questions or would like to schedule a group event, please contact our staff at tcvolunteer@2-harvest.org or (509) 545-0787. 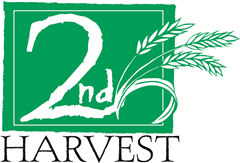 Note: Second Harvest does not participate in court ordered service.